Such a great bag to invest in. Really thrilled to have found out about this eco-friendly company. This bag is very cost effective but still nice. Our customers love this bag. The bags came out terrific when I received them in the mail. Thank you for the eco-friendly product. SO many options to choose from, I love it. The amount of options made it very enjoyable for me. Much respect for Custom Earth Promos. 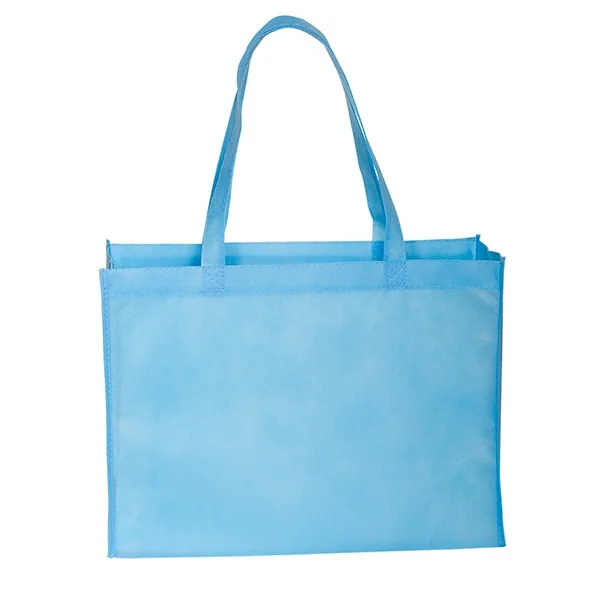 These bags looks great while you feel good about helping reduce your carbon footprint! Really happy with the outcome of my bags! Can't wait to start promoting my new store! The carolina blue is so bright! It stands out perfectly for our company and it's logo. We will be ordering again! They bags are terrific! We really wanted our logo to stand out, and these bags offered the space we were looking for to do exactly that! 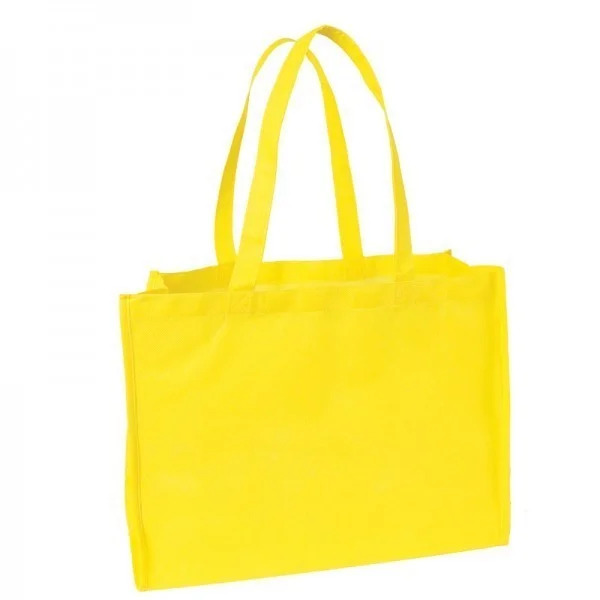 We ordered these bags in bulk and used them as part of a company giveaway. Our customers loved them and I'm sure they'll be toting these around, which will be great for my company in terms of brand exposure. Genuinely thrilled about my recent order with Custom Earth Promos. Very easy process, great bags, and the staff answered all my questions and concerns. I love that you can mix and match the colors! It was a no-brainer once we discovered that option, and the order came out just as the virtual sample we received. Very happy!!! An all around great product. It's wonderful to finally have an eco-friendly way to promote our business while staying in budget. Couldn't be happier with the outcome of our bags! This bag offers the perfect amount of space for our logo! Thanks CEP for providing my business with a high quality, cost efficient option to properly promote ourselves! This bag is perfect for promoting my shop. Customers continue to advertise even after leaving with the eye catching color options that CEP offers! For our small boutique these non-woven promo bags made our store noticeable around town. Business has been good and I feel like its directly related to implementing this item in our marketing scheme. 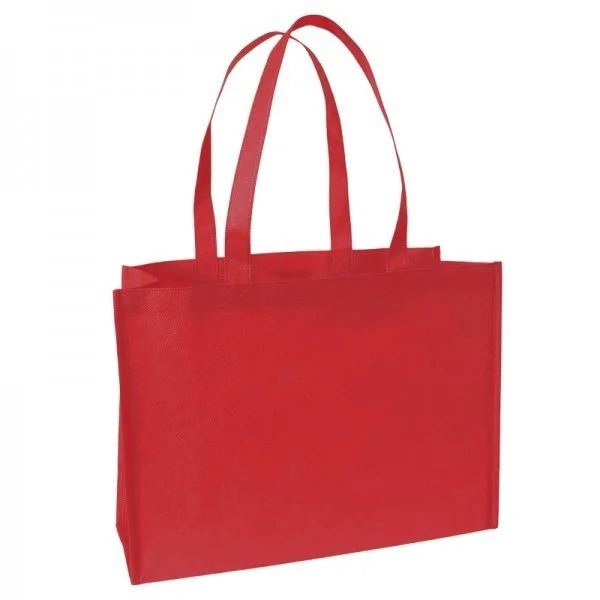 A very usable eco-friendly bag that worked well within our budget guidelines. Great imprint space for getting our brand noticed. Really impressed with the quality of these bags! They look great on our clients! The PP9 has been our go to when purchasing bags. It covers all our needs, and looks great. We order these promo bags every year. I have not been disappointed once with the quality and service received. We purchased 2,000 of these for our clothing store and couldn't be happier with the finished product. Economically Priced & Price-Match Guaranteed! Whatever the occasion - trade shows, store openings, weddings, meetings - these wholesale shopping bags complete with your extra large 12" wide x 8" tall custom logo will ensure your event is one to remember. 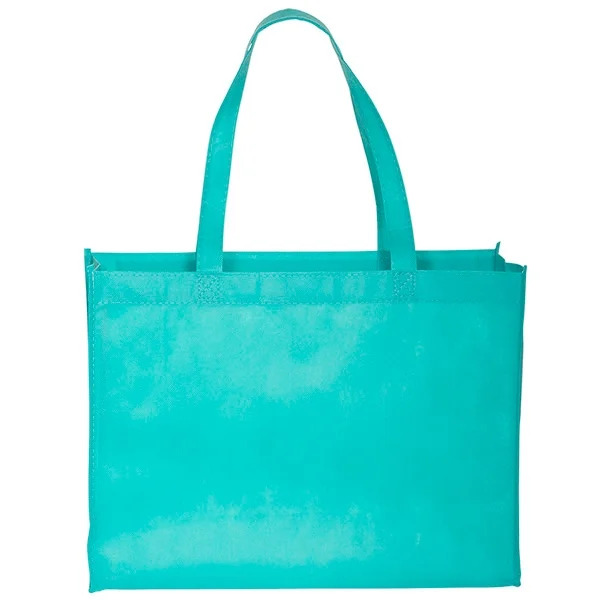 These trendy reusable bags feature crisp, reinforced seams, shoulder length handles, a wide variety of colors, and most importantly, are reducing your carbon footprint and preventing landfill waste with every use! 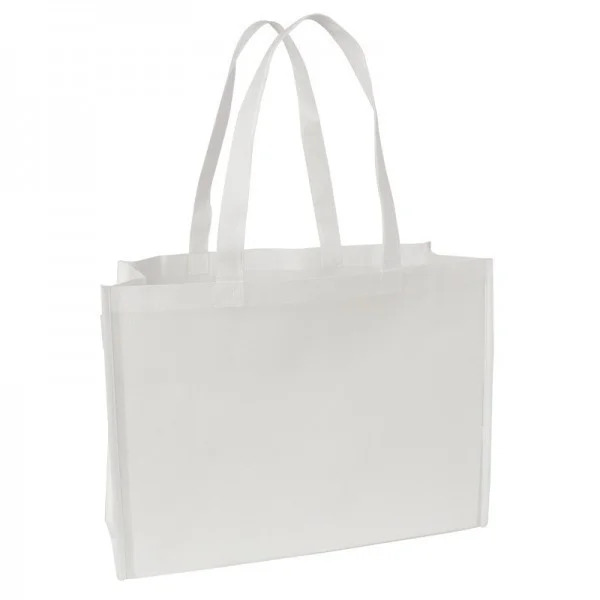 Not only are these eco-friendly bags helping the environment, the enormous 12" wide x 8" tall imprint area is also broadcasting your brand over and over with every use! 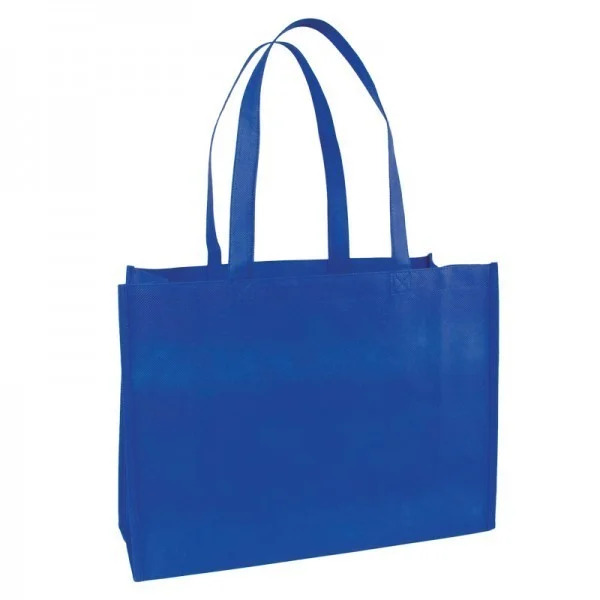 The convenient everyday size, bright color palate, and fast turn-around time of these promotional tote bags are just a few of the reasons why our promotional bags are a #1 seller. 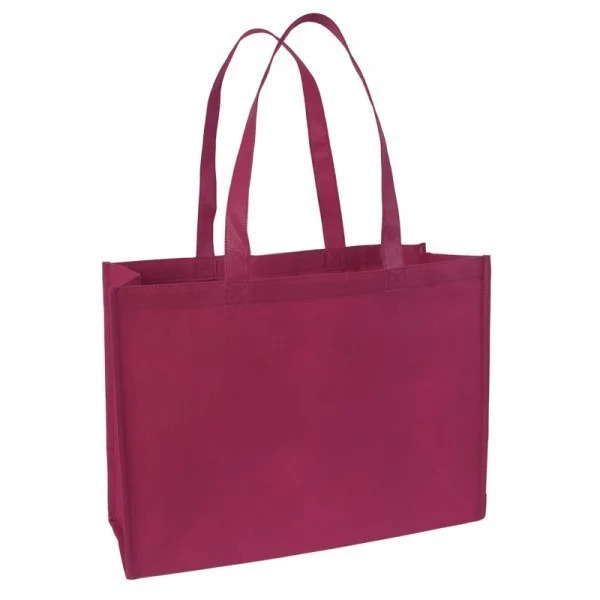 Popular with clothing stores, these reusable shopping bags are available in 14 color options in stock (or any PMS color overseas) and are sure to coordinate with your custom logo. If you can't decide on a color, why not mix and match? There is never a fee to divide your order between two, three, or even 10 bag colors as long as the artwork is the same! 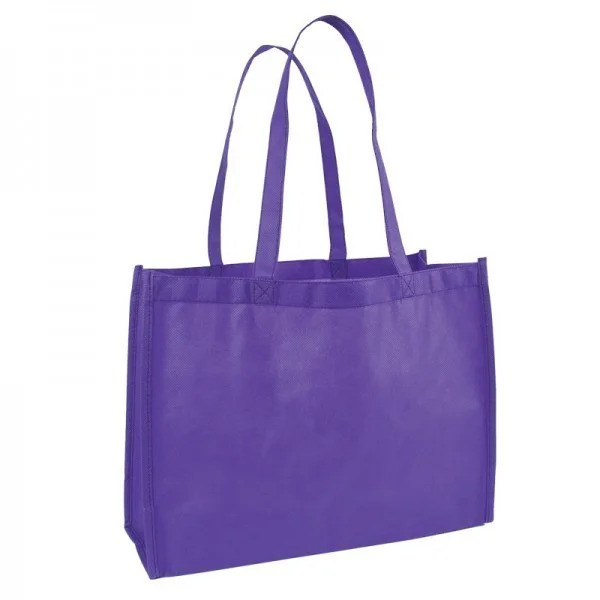 The low, low price of Custom Earth Promos' reusable shopping bags will allow you to either give them away as promos or charge a small fee as a disposable plastic bag alternative at the checkout lane. 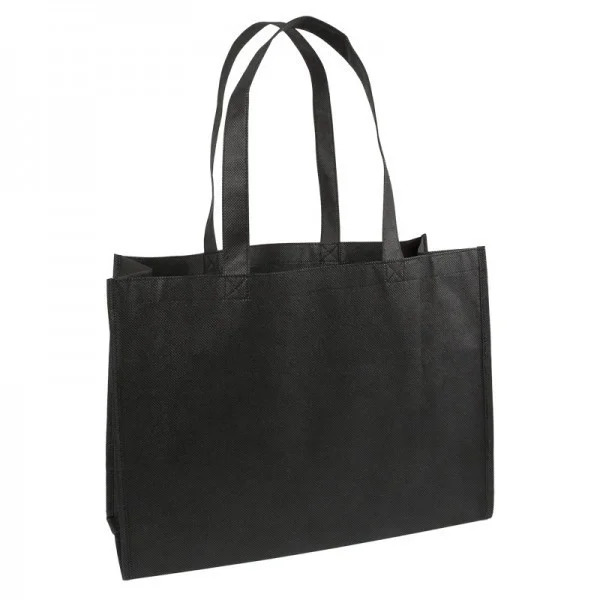 The 80 GSM non-woven polypropylene material our reusable bags are made from is 100% completely recyclable, and replaces thousands of environmentally disastrous single use bags. We have expert graphic artists in-house that can help you design the perfect environmentally responsible promotional item today! 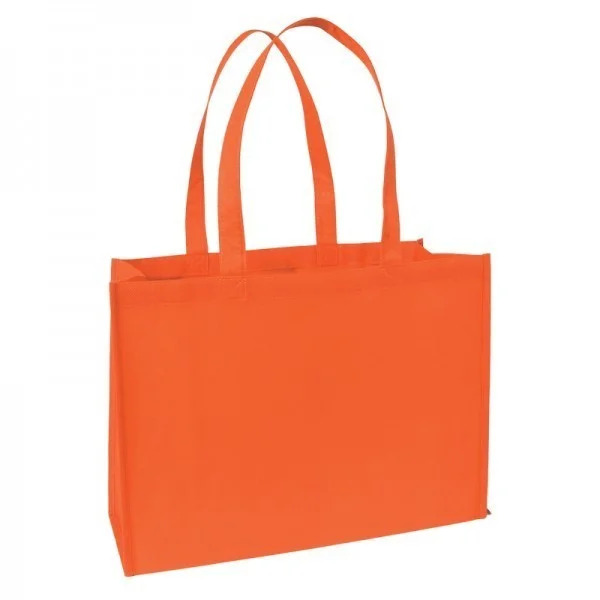 Let us construct your wholesale reusable bags from scratch at our direct overseas factory. By ordering with Custom Earth Promos' international factory, we can create the bag of your dreams by matching the fabric color to your logo, printing edge-to-edge, and accenting your reusable shopping bags with a FREE custom trim and handle color of your choice. Our custom bag options available overseas are boundless; we can increase the material density, add insulation, change the dimensions, add pockets or water bottle holders, and so much more! The Custom Earth Promos overseas experience is really where we excel in giving you the most options and with the best quality, price, and overall product. If you have 8-12 weeks before your deadline, you will not regret making the decision to order fully customizable reusable bags direct overseas with us!